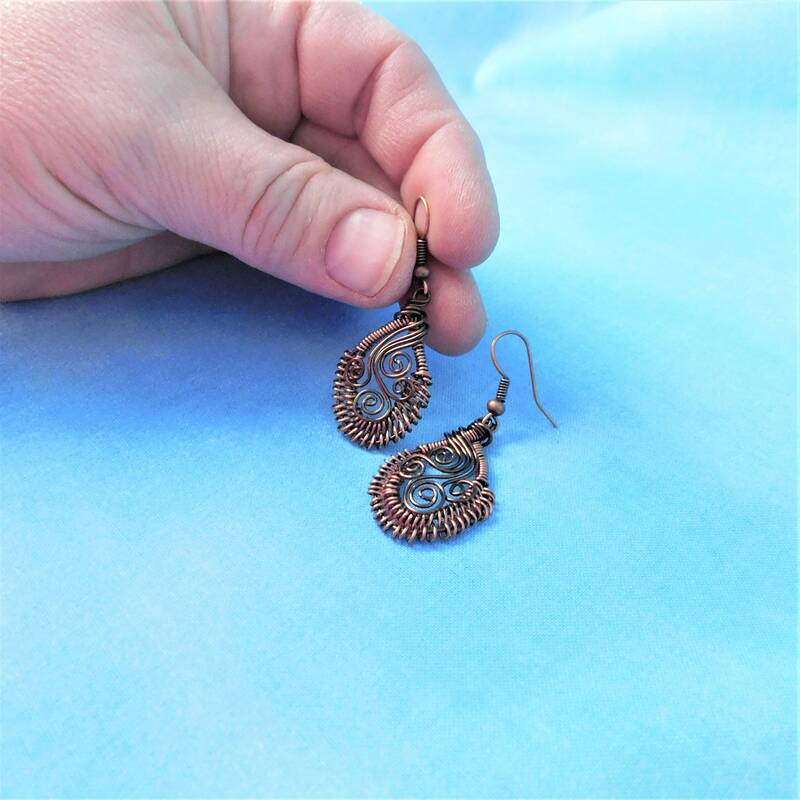 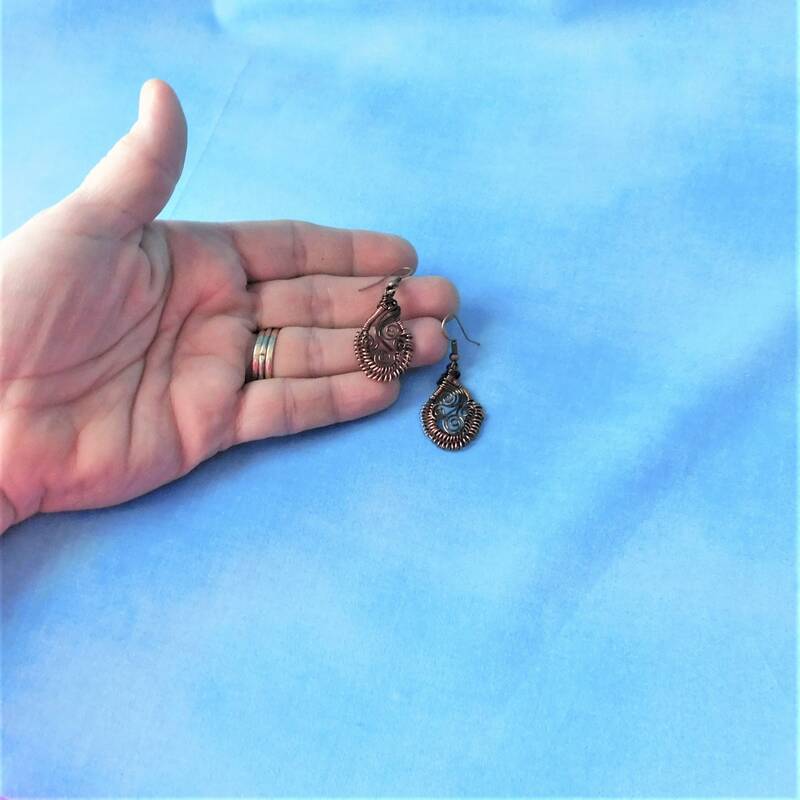 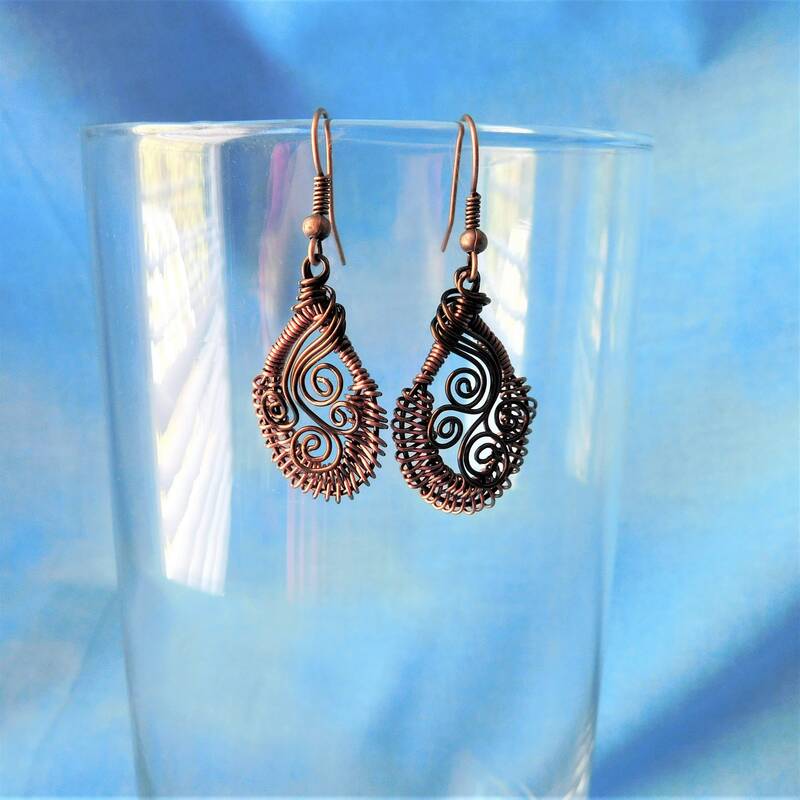 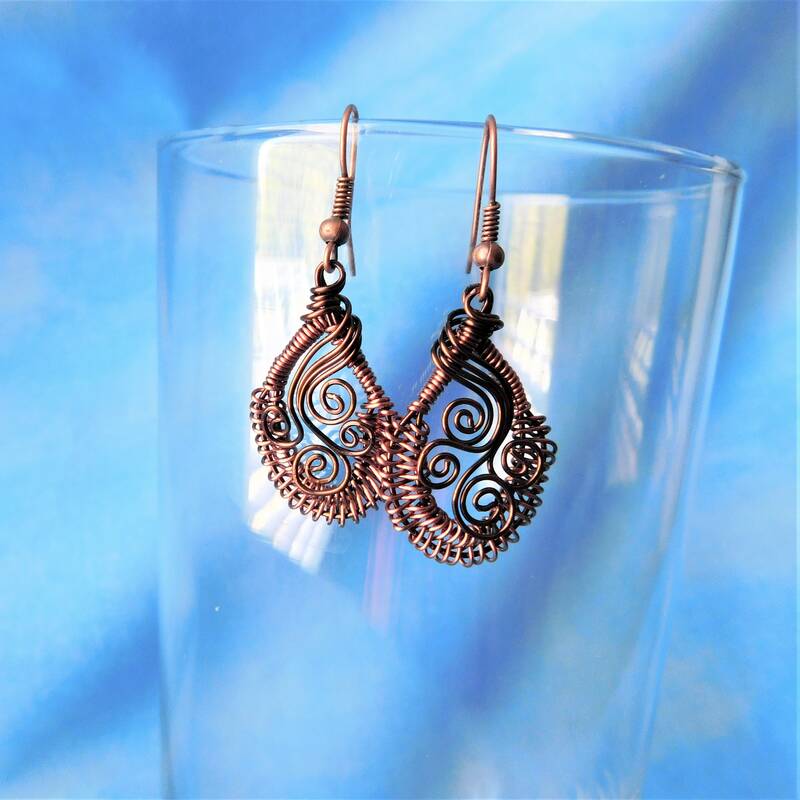 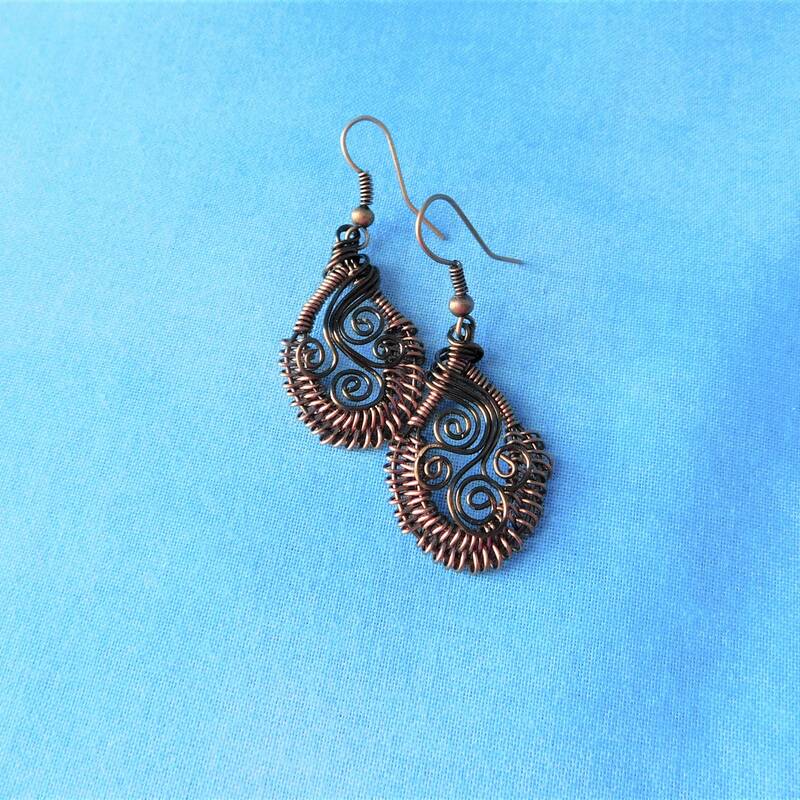 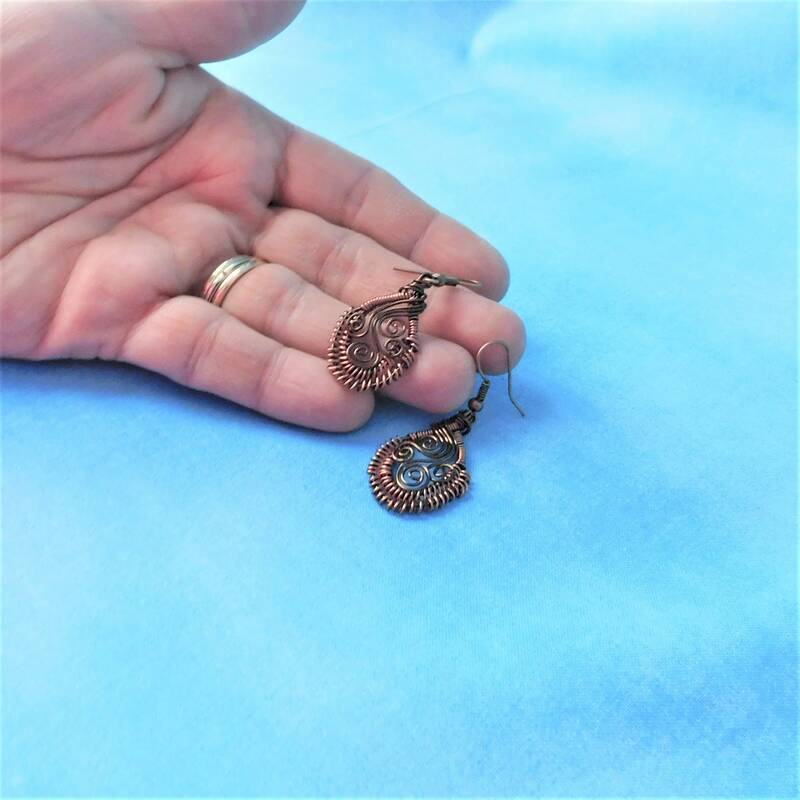 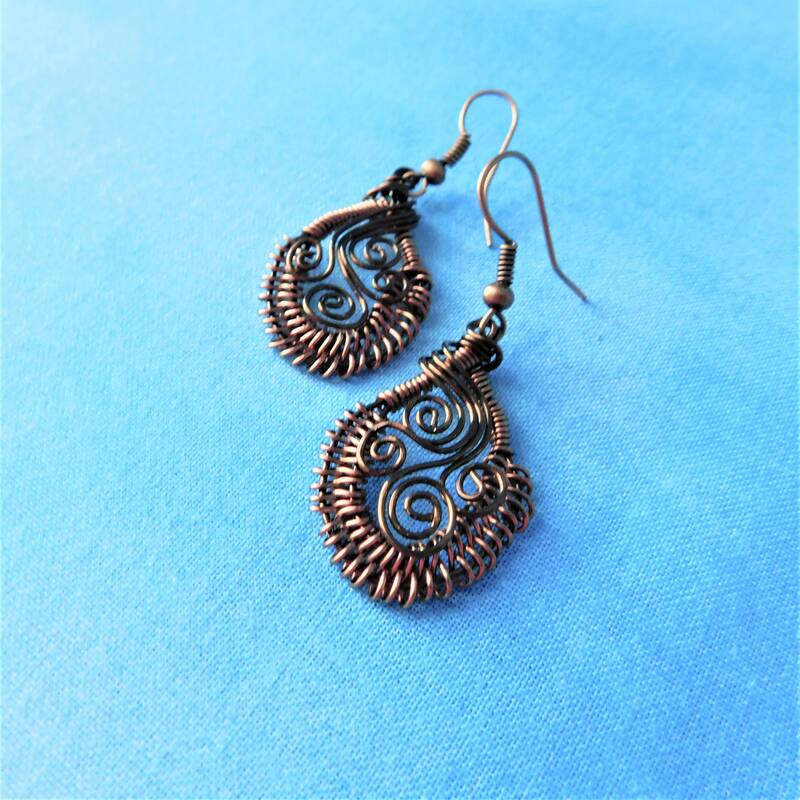 Non tarnish copper wire is woven by hand using only pliers, and sculpted to shape intricate wire filigree earrings. 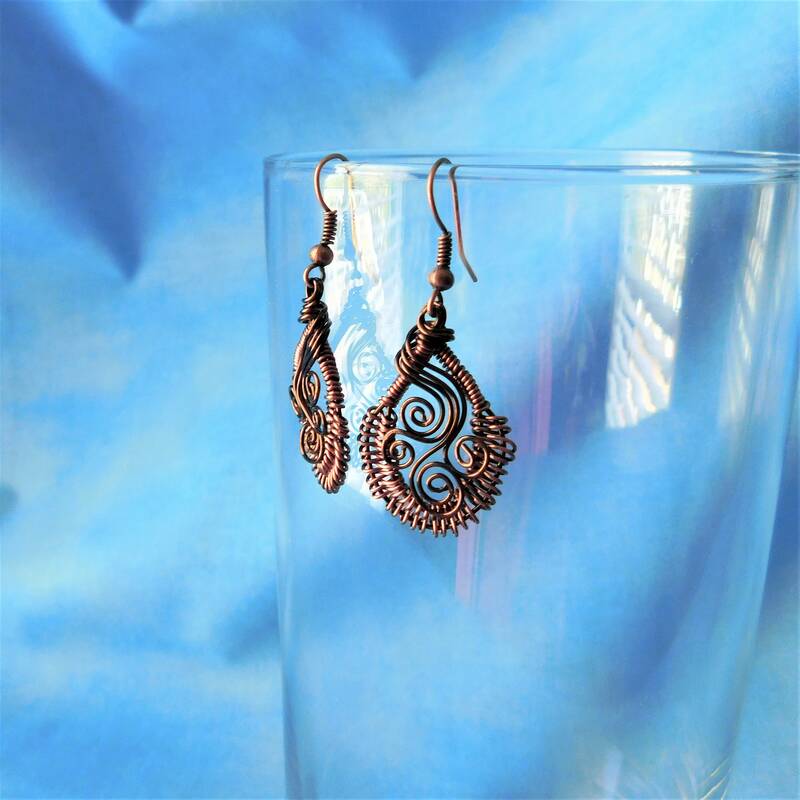 The teardrop shaped dangles hang from copper fish hook style ear wires. 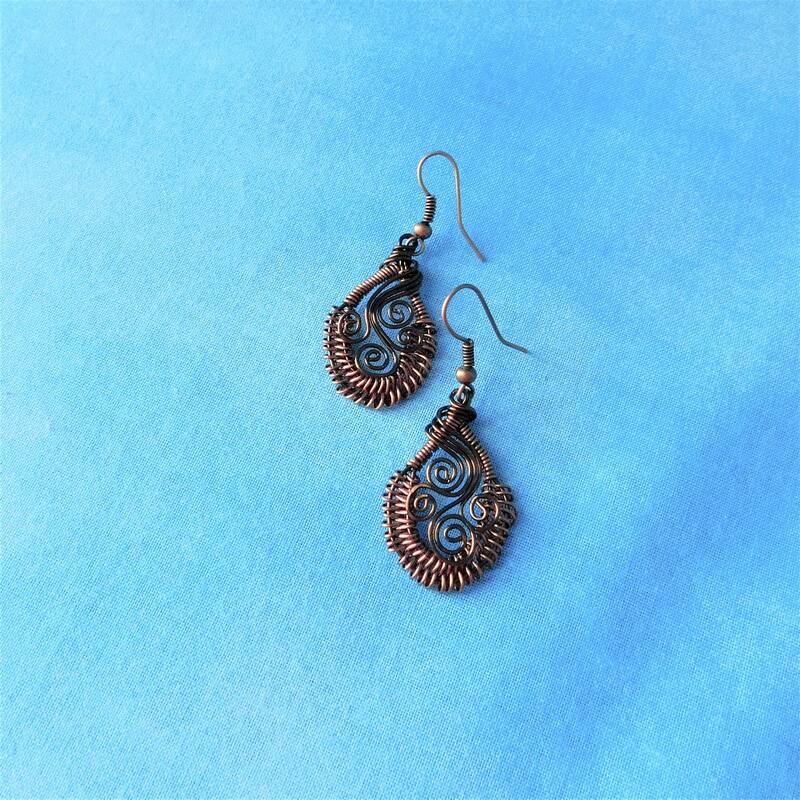 These are delicately beautiful, small pieces of art. 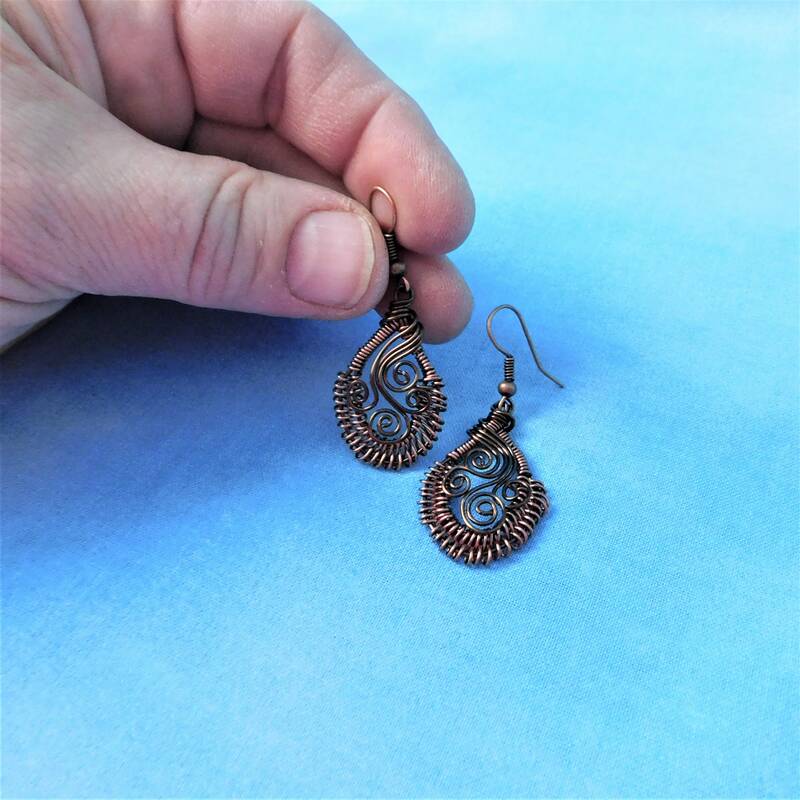 I make these earrings one pair at a time using a time intensive process that makes these earrings intrinsically special.